Brian Moses is a stand up, writer, actor, host, and producer from California. He was a staff writer for Freeform’s TRUTH & ILIZA. He is the creator, EP, and referee of Comedy Central’s ROAST BATTLE, a live comedy show in which comics go toe to toe in a no-holds-barred verbal boxing match. The show aired as a mini-series on Comedy Central US and UK with Brian Executive Producing alongside Roastmaster General, Jeff Ross. Brian has written for MTV’s WILD ‘N OUT and has featured for comics like Cheech & Chong, Sarah Silverman, Jeff Ross, Bill Burr, and more. He hosted the Comedy Central Red Carpet for the Roast of Rob Lowe, guest starred on HBO’s CRASHING and co-created the sketch series VOID, for Comedy Central Snap. 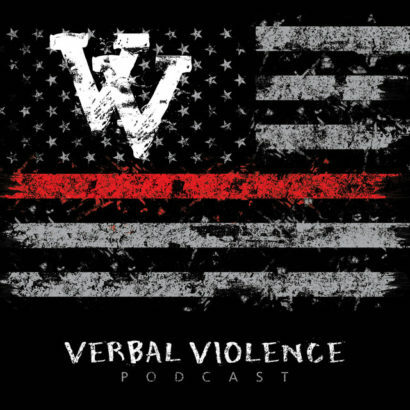 Catch his podcast “Verbal Violence” – available now. One of his goals is to become friends with more black people so he can get his hair braided for free. Coach_Tea is Roast Battle Hollywood’s Hottest DJ. Former high school teacher, wrestling coach, and at risk youth mentor turned turned DJ, producer, and podcast host, most know Coach_Tea for his contributions as a DJ and comedian. He was a sound man on Comedy Central’s “Jeff Ross Presents Roast Battle”. As a DJ, Coach is well rooted in the foundations of hip hop, but has expanded his love to include electronic trap, and future bass productions. Dubbed “The fastest hands in comedy,” Coach_Tea has an original, and authentic DJ style all to his own. On the production side Coach_Tea blends sampled based hip hop, and stand up comedy. Coach has made an impact scoring recorded stand up routines with original hip hop to heighten the impact of the comedy performance. Paving a lane unto himself, Coach_Tea continues to create art through sound that challenges whatever space he’s in. Frank Castillo is a young, Mexican-American comic, Frank went from door guy at The Comedy Store to winner of Comedy Central’s Roast Battle II. Castillo prevailed over Matthew Broussard in the live finale broadcast on Jan 29th on Comedy Central from the old House of Blues venue.